So while I do own a digital watch I much prefer reading the time from a analogue watch. What about you folks? Analogue all the way. Even better if the watch is mechanical. Love my autos but for day to say work wear my G shocks get the call every time. 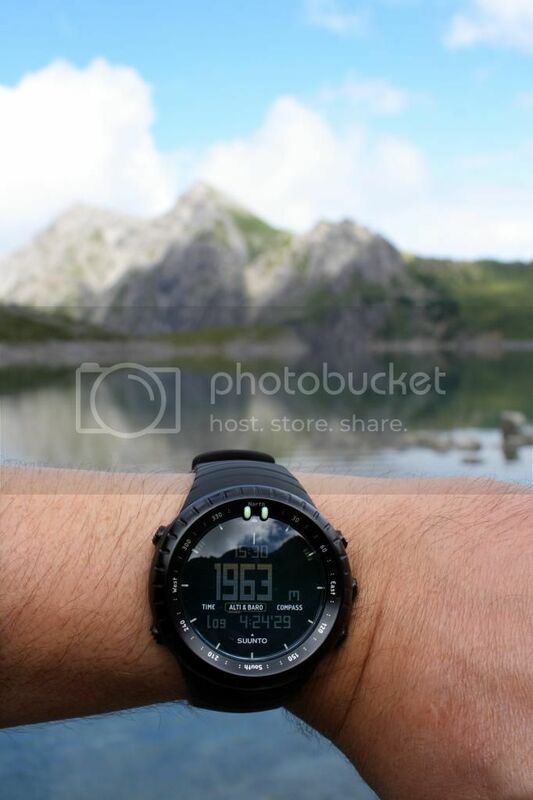 I only own two analogue watches, my Seiko Aviator and my Seiko Black Monster, and although I like them very much, my favorite watch at the moment is my Suunto Core. 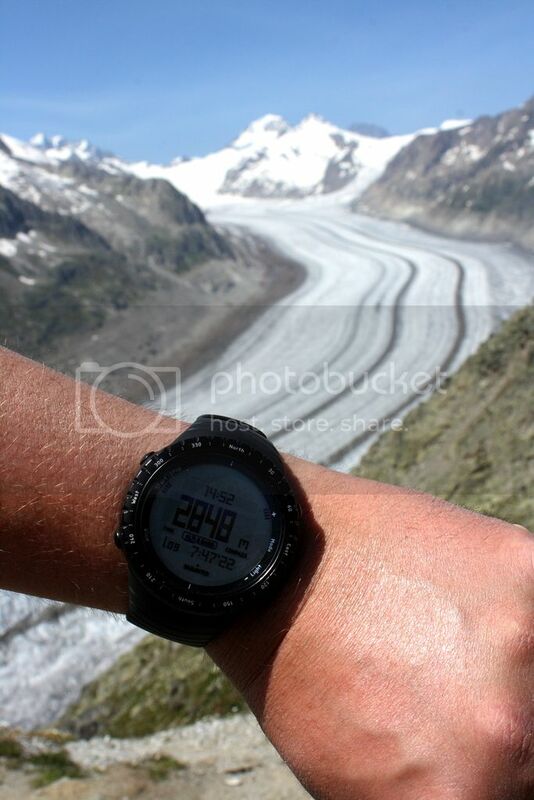 Since then the Core has become my favorite watch of them all, big and easy to read display, very accurate altitude- and barometer functions, and it feels great on the wrist, very comfortable. 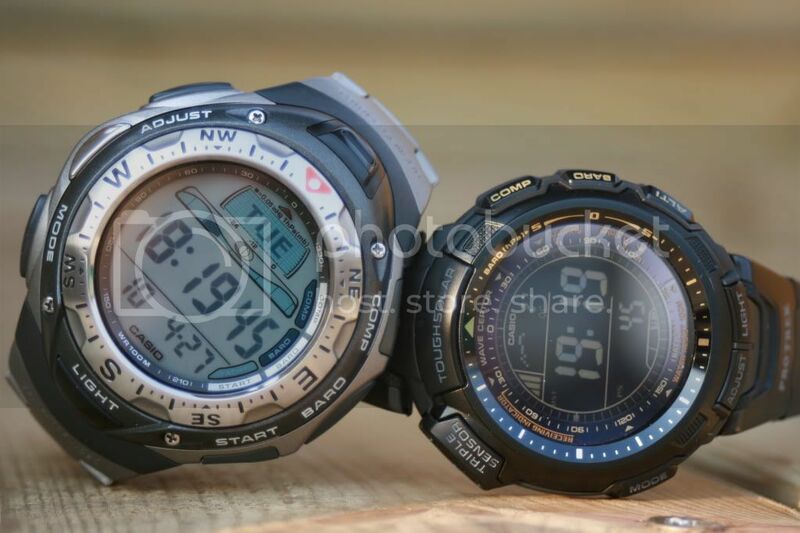 The Casio watches do have the radio controlled function, which I miss on the Suunto watches, but on all other points Suunto beats Casio, in my opinion . 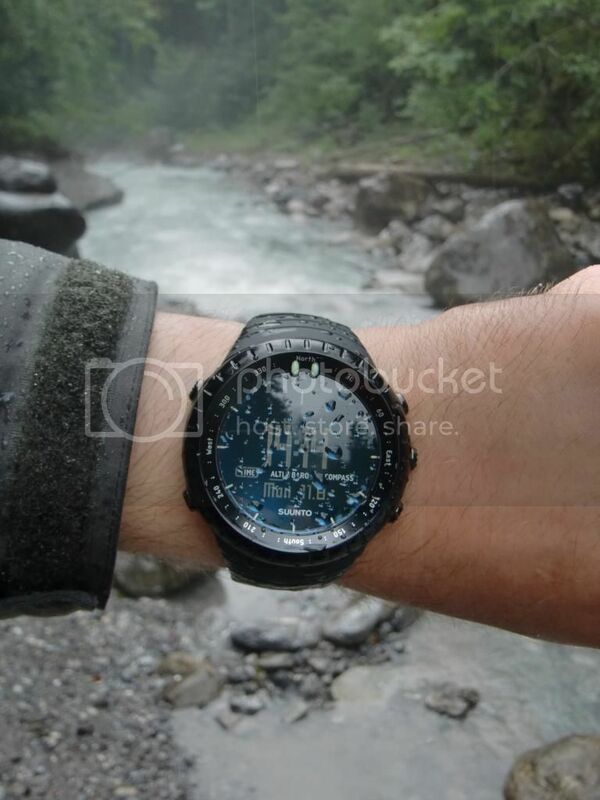 I prefer analogue watches, but love the functionality of a digital watch. If you asked me this a few years back my answer would be analog, but the G-Shocks have won me over for many reasons so I have to say digital all the way. 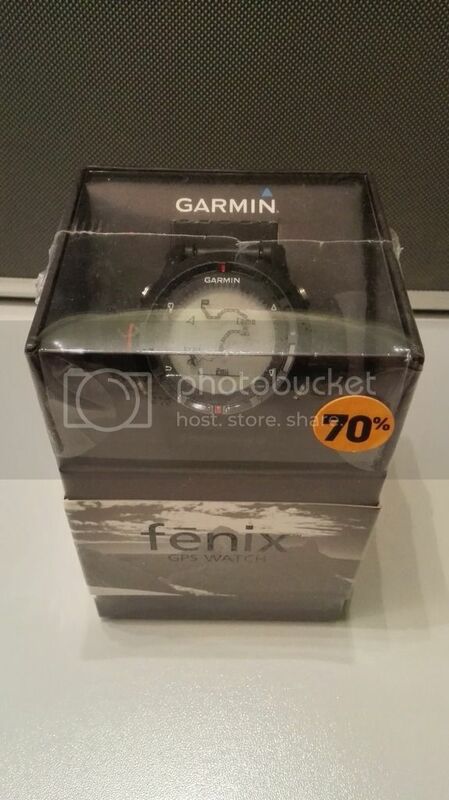 I forgot I also own a Garmin Fenix, but a "Mark 1" version, which I got (once again ...) at a great discount price (-70%). Analog. Just has a classier look to me. No offense meant to the digital fans. I pretty much just want my watch to tell the time, and date if it's battery. Although I do have an Eco-drive which should be here tomorrow I'm looking forward to trying. Boy, some of those watches you guys have are just huge looking! I think that would bug me. 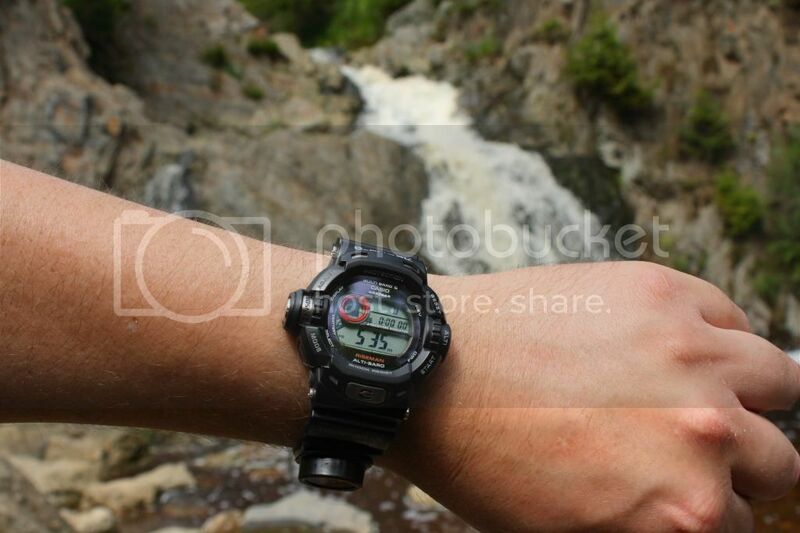 That's one thing about the G-Shock when I looked at it. It's just so thick and bulky. Those Garmins look wider than your entire arm. Analogue for me too. 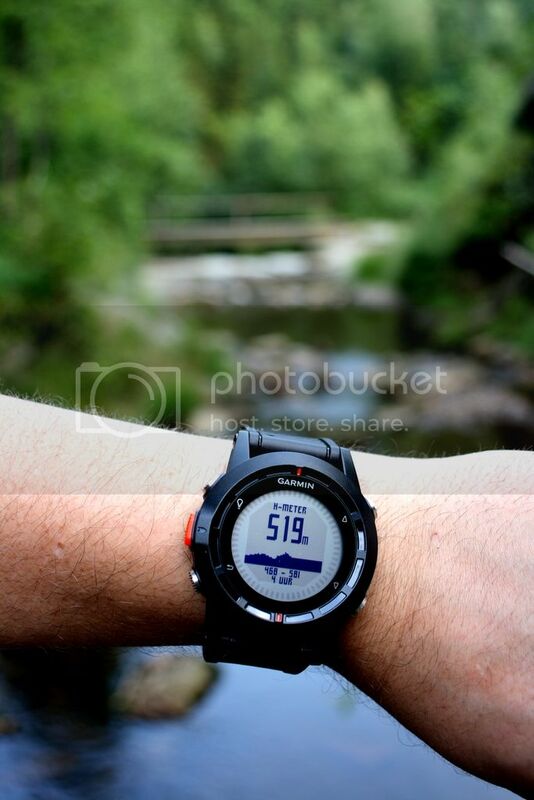 I do wear a ana-digi Protrek as my everyday watch for the past year and a half though. As long as it is Gold coloured, I am fine with it. Analogue. Owned both types but prefer analogue. Like dks I only own one watch - a Citizen Eco-Drive, solar powered, keeps great time, had it about 8 or 9 years I think - can't remember. Very scuffed and the crystal is scratched but it's the only watch I want. Oops, why does this thing neve put the pic the right way? Well, I'll be blunt. ANALOG IS BEST!! Awesome - mine should be here tomorrow I think. I prefer analog but I have become somewhat hooked on my Pebble smart watch. Does that qualify as digital? I'm not sure I'd concur with you. Politely of course. No disrespect intended. I've found a digital in bright sun needs to be angled sometimes so the digits can be read. 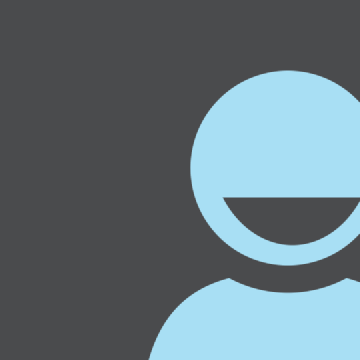 In dim light, it's often necessary to hit your light button to check the time, but, the light button is a positive in darker settings to check the time. So it balances out. Stronger I think depends on the watch. There's many many older wind up and wind up watches in service that are pretty old in watch years. My Vietnam era Hamilton wind up still works great and all I've done to it was a few years ago was have it serviced. The guy said it looked great inside. 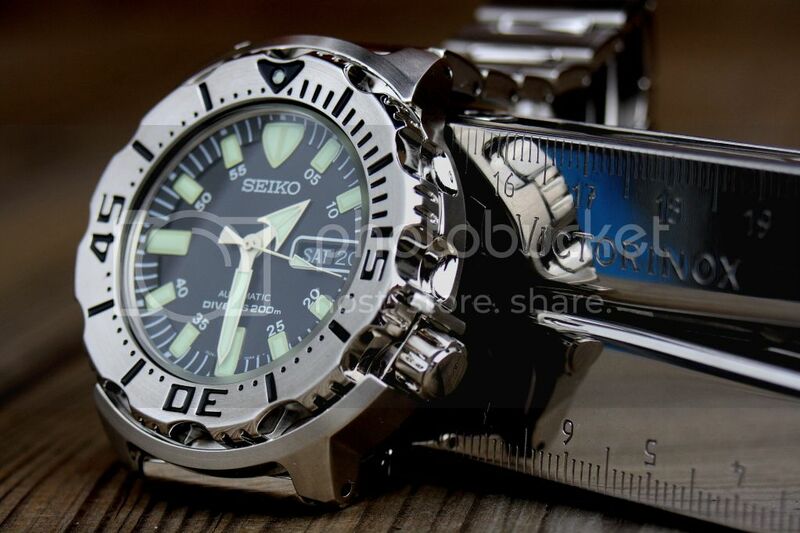 Old expensive watches, like a Doxa or something, last forever. While I do the that even the cheapie Timex and Casio digitals while likely outlast a mechanical if the same value, not some much, or at least pretty equal, on higher end watches. I'm curious if the analog/digital preference can also be linked to the age of the wearer. I know before my father passed, he'd of never worn a digital. Tried once. 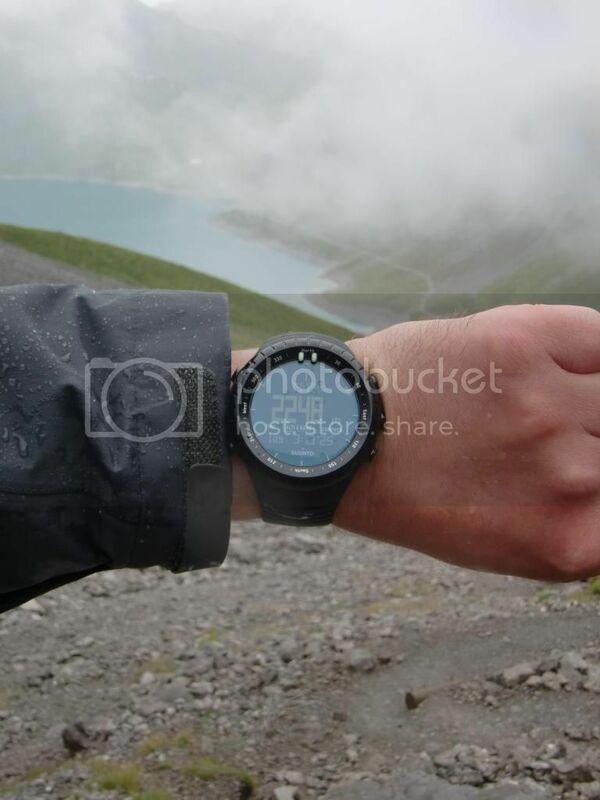 Got him one with a larger display, lightweight, etc., Had the time and date at a glance. Gave it right back to me. Always wore a wind up. And a question - I'm not familiar with the no touching between 9 and 9. Explain please? Analog. All I need to do is turn a knob to set it. My old Armitron requires the owners manual just to figure out how to set the darn thing. 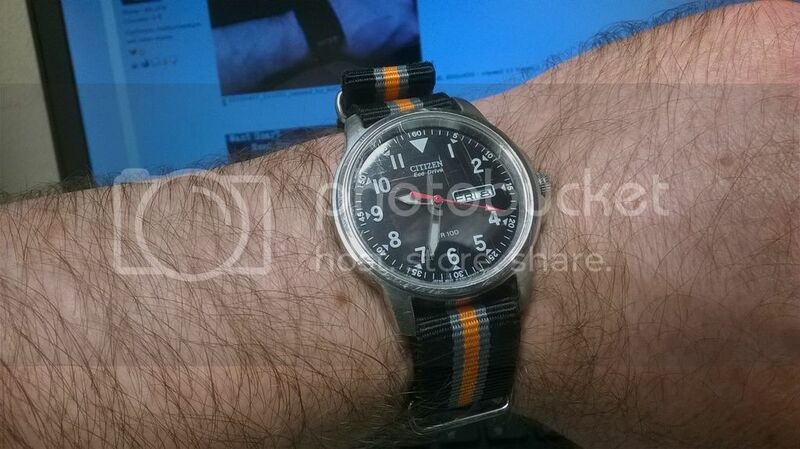 I prefer my Timex Expedition to it, but since the Armitron is a far cheaper watch than the Timex, I'll need to put another battery in it for this summer, as it isn't as bad losing a $15 watch than it is a $40 watch. Yes long run time, yet if a solar unlimited, the same for a analogue so long as you keep it in motion,, only other advantage is any that ping off that clock tower, although one of my watches in that pic is analogue and does ping off of it, but is not self winding..
Digital, because if all the diferent modes that you can have on a digital watch. You can also have it on a hybrid but i prefer full digital. Here's my most commonly worn watch. 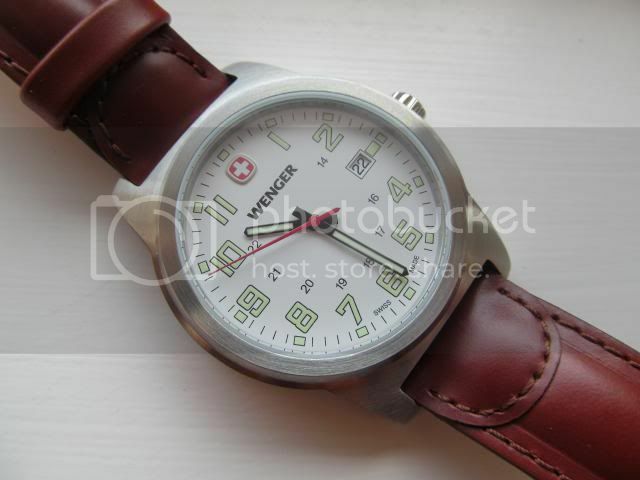 Love those classic Wenger watches! I like some of the extras you can get with digital. 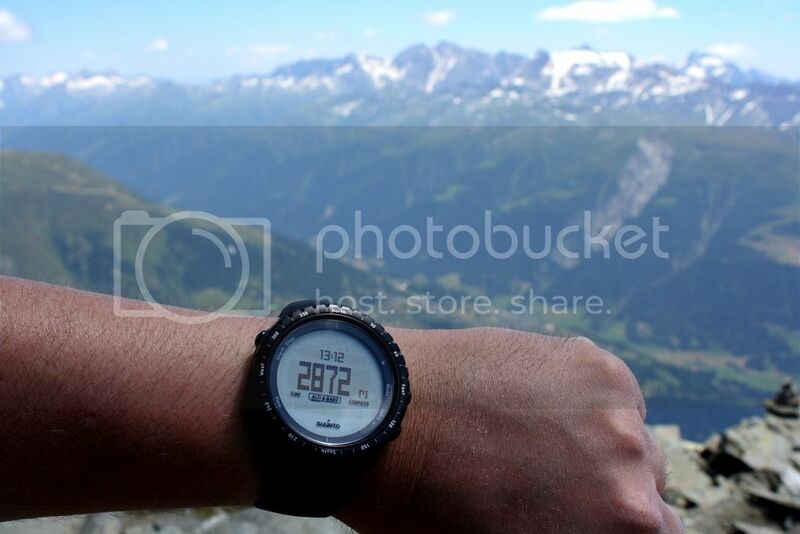 ... Got him one with a larger display, lightweight, etc., Had the time and date at a glance. Gave it right back to me. Always wore a wind up. If you set the date on a mechanical watch between 21h and 9h, it will change the date at noon and not at midnight. It does not know if it is 12 or 00 hours and just changes the date every second turn of the hour hand. I prefer analog watches. I had one of the earliest digital watches around 1975 or so. I was still in elementary school. It was a heavy, gold-colored watch with a square shape and must have been close to half an inch thick. I don't remember the brand, but I think it was made in Japan. It didn't display the time until you pushed a button, then it displayed in red LED for a few seconds and shut itself off. Despite not having a constant on display it needed a new battery every month. I liked it at first mostly because no one else had one, but I soon grew tired of a watch you needed 2 hands to operate. I just wanted to be able to glance at my wrist and see what time it was without requiring additional manipulation. They've probably improved some since then, but I just never bothered with them again after that. Yes, I suspect they've improved a little. I think I've seen the watch you are talking about though. I was born in the 70's and grew up in 80's, when digital watches really took off. You couldn't be one of the cool kids without a Casio of some kind. I've had a few of the small, cheap Casio watches over the last few years and one of the big pluses is that they are very small and light. I also like the features that come with my digital. Multiple alarms, timers, solar atomic, no worry hard use, set and forget, and a range of info on the main display. 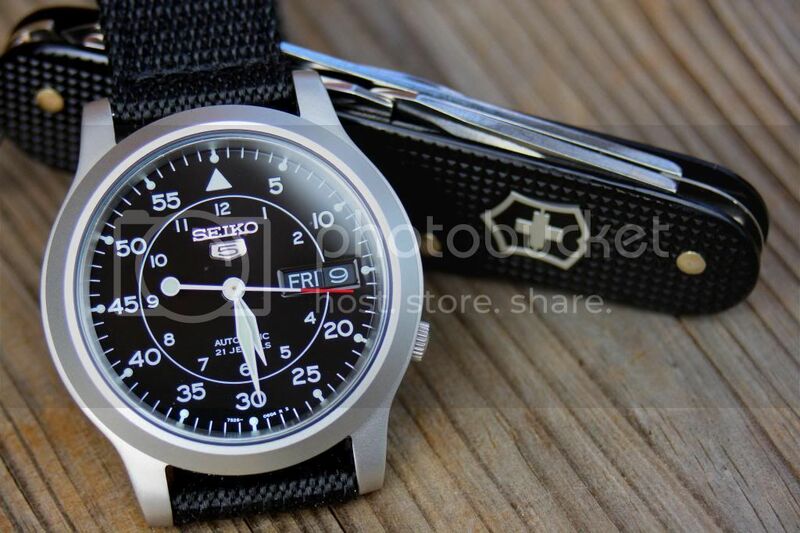 I love ABC watches ( altitude, barometer, compass ) as they turn a watch into a true multitool. Mechanicals, autos and so on have their place as well. While looks are debatable I find I am more attracted to a classic analogue watch. No Life Club Posts: 2,526 Look at all those shiny sharp things. If i had to choose, i take analog first. Digitals i love alarms, timers and stop watch. They are used everyday.